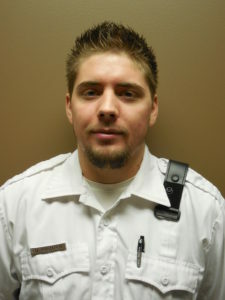 Dale is a Paramedic Field Training Officer for the Three Rivers Ambulance Authority in Fort Wayne, Indiana. Several of his peers nominated Dale for his growth from EMT to Paramedic to Field Training Officer. They cite his professionalism, his dedication to providing the best care for each patient he treats, and his ability to train new employees and ensure they are successful. A veteran Paramedic who recently started working at TRAA complemented Dale on his knowledge and training abilities, praising him for his patience and encouragement as he helped the Paramedic learn the ropes at TRAA and make a smooth transition. Dale is also commended for always displaying a positive attitude at work and making the job enjoyable for everyone.